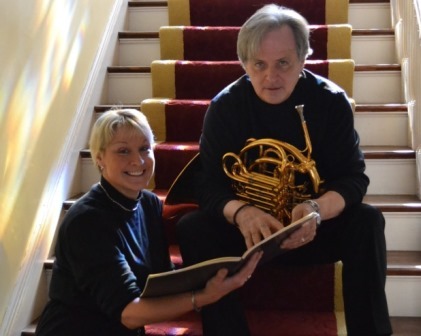 Clinic Synopsis: This clinic will equip music educators from the elementary through college level with the knowledge to make the French Horn an approachable instrument to teach. Concepts will be introduced in an accessible fashion that will focus on the most natural way to implement them. 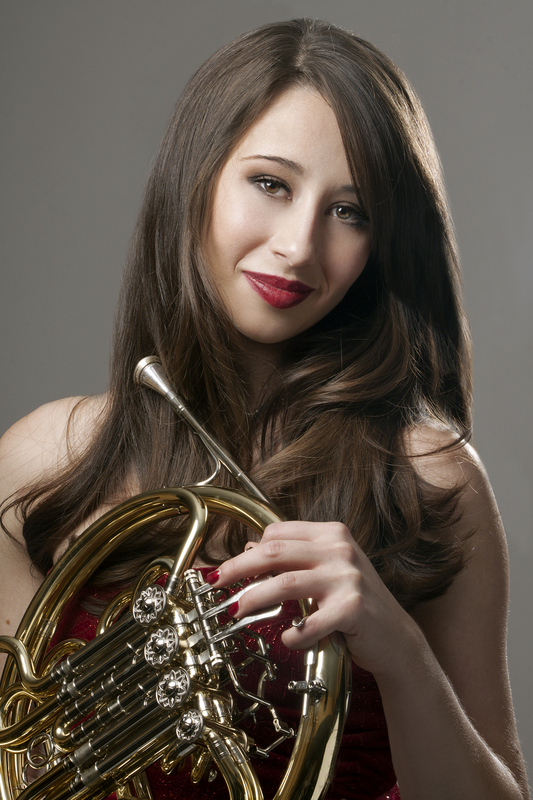 Examples of how to make the horn attractive will be presented in the form of a live performance and media examples where the horn is a key member. Clinician Biographical Information Martin Hackleman is Artist in Residence and Associate Teaching Professor of Horn at the University of Missouri-Kansas City. He began playing the horn at 16, won principal horn in the Calgary Symphony at 19, and the Vancouver Symphony at 21. He has played principal horn with the Montréal Symphony, the National Symphony, the Philadelphia Orchestra, and the Dallas Symphony. He played in the Canadian Brass for 3 years. In 1986, he joined the Empire Brass Quintet, and recorded 5 CDs with them. Martin’s étude books are required repertoire at many reputable music schools. He has taught at the U. of MD, Boston U., and the U. of British Columbia. He has been invited to give master classes at Julliard, the Manhattan School, Curtis Institute, and UCLA, among others. He has recorded CDs with the National Symphony, Vancouver Symphony, Montréal Symphony, Canadian Brass, Tidewater Brass, Empire Brass, All Star Brass Quintet, and Washington Symphonic Brass, and 7 solo CDs. Second Clinician Biographical Information Natalie Brooke Higgins is currently Adjunct Professor of Horn at Missouri Western State University. She holds degrees from the University of California, Los Angeles (BA), George Mason University (MM), and is pursuing a Doctorate of Musical Arts degree at the University of Missouri, Kansas City. As a frequent horn soloist, chamber musician, and ensemble player Ms. Higgins holds positions in such award winning ensembles as The Borderline Brass Quintet, UMKC Graduate Fellowship Woodwind Quintet, and The Fountain City Brass Band. She has also performed with such groups as the National Symphony, American Festival Pops Orchestra, American Wind Symphony Orchestra and The Banff Festival Orchestra. Her Primary teachers include Martin Hackleman, Chris Cooper and Brian O’Connor. Ms. Higgins is also a co-founder of the Kansas City Horn Club, a non-profit organization whose mission is to spread the love of the horn and music through monthly meetings and semi-annual large events and clinics. Third Clinician Biographical Information Dr. Kelly Ker-Hackleman earned the degrees of B.M., M.M. and D.M.A., all in Piano Performance, from the Cincinnati Conservatory, New England Conservatory, and the University of Memphis, respectively. She has served on the faculties of George Mason University in Fairfax, VA, Shepherd College in Shepherdstown, West Virginia, Frederick Community College in Maryland, and in Tennessee - the University of Memphis and Rhodes College. In addition to teaching applied piano, coaching chamber music, and serving as staff accompanist at these schools, Dr. Hackleman also taught Sight Singing and Ear Training, Keyboard Skills, Keyboard Literature, Fundamentals of Music, Intro to Classical Music, and Music in Computer Technology. She developed, launched, and taught the first online course – Intro to Classical Music - offered by the George Mason University School of Music for the 2012-2013 school year. As an orchestral pianist, she has played keyboard for the Montréal Symphony Orchestra, the McGill Chamber Orchestra, the Philadelphia Orchestra, the National Symphony Orchestra, the Baltimore Symphony, the Washington Concert Ballet, the Washington Choral Society, Kennedy Center Opera Orchestra, Fairfax Symphony, and the Kansas City Symphony. She served as principal pianist with the Alexandria Symphony 12 years and held the same position with the Memphis Symphony Orchestra for 6 years. Kelly’s doctoral dissertation was on the use of piano as an orchestral instrument. Kelly is pianist for the Washington Symphonic Brass, and has recorded three CDs with them –Voices of Brass - which includes Carl Orff’s Carmina Burana and Saint-Saens’ Organ Symphony - and The Edge, which includes Copland’s Appalachian Spring, and Classic Rock for Brass, just released this summer. Kelly has also recorded a CD with her husband, Martin Hackleman – Solitary Hotel - which was released last fall. An accomplished chamber musician and accompanist, Dr. Hackleman was a founding member of the Peabody Trio of Memphis. She has performed frequently in chamber music performances in the Washington, D.C. area, including the Millennium Stage Series at the Kennedy Center, Mount Vernon, and the Lyceum in Alexandria, with colleagues from GMU and the National Symphony Orchestra. Dr. Hackleman has won or placed in numerous solo piano competitions, notably second prize in the International Beethoven Sonata Competition and fourth prize in the National Masters Piano Competition. The honor of “Distinction in Performance” was awarded to her upon graduation from the New England Conservatory. Kelly was organist at Kirkwood Presbyterian Church in Springfield, VA for 9 years where she also served as Artistic Director for Concerts from Kirkwood. Her composition, “In This House,” a choral anthem, was premiered by the Kirkwood Presbyterian Church Choir in 2006 upon the dedication of their newly renovated sanctuary. She is presently serving as organist/pianist at Gashland Presbyterian Church in Gladstone, MO. An avid ambassador for music, Dr. Hackleman has been asked to present lectures for the Faculty Arts Board of George Mason University, the Friends of Music for George Mason University, the Osher Lifelong Learning Institute, and the Springfield Music Club. She also served as resident lecturer for the McLean Orchestra’s “Classical Insights with Kelly: A Pre-concert Lecture Series.” Kelly presently teaches an online Music Appreciation course for the UMKC Conservatory of Music and Dance.